censorship Paul....that's what it amounts to. I didn't see the post so cannot comment on it, however where do we draw the line at what is offensive? What I find offensive you might not and that becomes a problem as we all have different tipping points. I am shocked this wasn't even a joke, nor was it even meant as a joke. I posted several pictures of the Charle St tower and close ups of the cladding which I said I really didn't like. Trying to find a similar tower block with similar red coloured cladding, I googled "red cladding tower block" and copied the image without even first realising it was of the Grenfell block, as it came up first in the search and was the exact same colour red, initially to show how ugly the colour was. I re-edited the post when I read the caption next to the picture "Cladding was used on the refurbishment of Grenfell Tower (ITV News)" and my comment was something along the lines of look what happened this one in LDN (London) i.e. the cladding. as this appears to be the exact same cladding, even down to the colour as is being now used on the new Charles St Student Tower. Is this what was offensive, I am actually not sure now? Is LDN some offensive slang, or am I being stupid, Is it disrespectful to even mention there was a cladding fire? Paul, if you feel you have to censor things in this way then so be it but at least try and understand posts before to taking offence? Maybe people read my posts and try and find some double meaning so they can be offended on other's behalf. If you wish you can delete my login. If it's not removed as well, as some here seem to cry death to anyone who rocks the Student high-rise living mantra! Zach. Just stop. You made a comparison of the red cladding used on this student block and said it reminded you to a tower which 'no longer exists' with a photo of the Grenfell tower. The image you posted which you 'didn't even realise' was the tower, when you click on that image on google images it clearly labels it as the 'Grenfell tower'. You're telling me you didn't see the caption or recognise the tower beforehand? Oh okay then. You made no comparison that insinuated the cladding was the same, and you and I would both have to be incredibly stupid to think or believe that it would be. You've seen enough imagery of the tower in the media to know that it wasn't clad in red, so stop playing dumb and own up to your incredibly offensive statements. Joking about the deaths of 80 people through a disastrous event is simply disgusting, and if I were admin, one more comment like that and I'd ban you. It would appear that the cladding was nothing like that red colour prior to this tragic fire. I realise now that you were not posting in bad taste but the colour has no relevance to the charles st tower? anyway it felt wrong and I got rid of it thinking that you'd probably return to explain it, as you have. If you cant see how it could easily be taken in the wrong way from your intention then we see it differently. 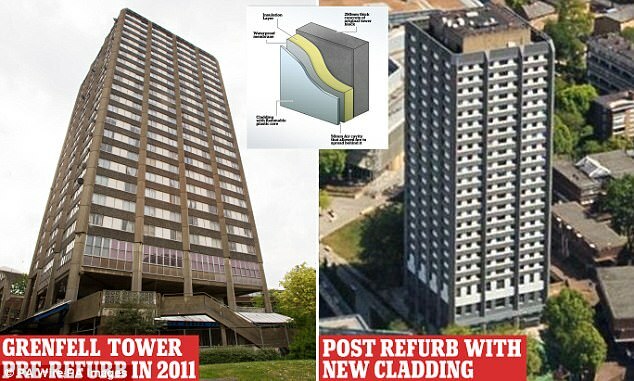 Hence why I thought the cladding was the exact same, its both ACM isn't it? Edit: I can now see that it is mostly due to the sun reflection. This photo was used widely in the reporting also, so its not just me being stupid. I would say that was rayleigh scattering at sunset, as can be seen on the distant towers also. Jantra wrote: I would say that was rayleigh scattering at sunset, as can be seen on the distant towers also. The voice of reason - as ever! Why the difference in style on the Charles Street frontage compared to Bridge Street? Charles Street has a lack of windows and the mesh affect and instead has a huge slab of Orange/Red. I like how the building looks from Bridge Street but this side elevation is a bit random. Core up to 19th floor now.